Many of the Columbia school board and city council races were too close to call Tuesday night, and may not be determined for several days. That is because there still 211 absentee mail-in ballots, mainly from Columbia, that have yet to arrive at the courthouse, and those votes could swing many of the races. There also 21 mail-in ballots from St. Clair County that are outstanding that will impact the Columbia School Board race and one city council race. Voters have until April 16 to send those ballots to the county clerk. So far, Greg Meyer, Scott Middelkamp, Tyson Search and Lisa Schumacher are in the lead in the school board race. In the city council race, Kevin Martens, Jay Riddle and Steve Holtkamp are winning. The voter turnout was low, with 12.08 percent of eligible voters exercising that right, but that was higher than the approximately 9 percent turnout in the last two municipal elections. 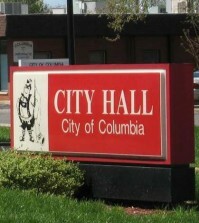 In Columbia, however, more than 25 percent of voters cast their vote in the school board race and 21-30 percent did so in the aldermanic wards. In the Columbia School Board race, Meyer has received 1,208 votes in his race against incumbent Ted Schrader, who has 1,162. In the six-way race for three board seats, Middelkamp has 1,248 votes, followed by Search at 1,243 and Schumacher at 1,226. Candidates on the outside looking in are Phil Taylor with 1,203 votes, Tammy Hines with 1,194, and Cress Morr with 1,015. In the city council race, challenger Jay Reis has garnered 234 votes compared to 214 for incumbent Steven Reis in Ward I. In Ward II, Martens got 311 votes compared to challenger Harold McCarty Jr.’s 211. In Ward IV, incumbent Steve Holtkamp has 263 votes versus challenger Patrick McDermott’s 206. Those numbers also do not include the St. Clair County voting totals, where 21 mail-in ballots remain. Martens, whose race is most likely safe to call, said he looks forward to his second term as alderman. Valmeyer’s ballot issue was whether to raise its taxes .16138 percent to help fund the fire department. That measure passed, with 149 people voting yes and 63 people voting no. In other contested local races, Michael Nolte is beating Stephen Mitchell for a two-year spot on the park district board. He has 162 votes to Mitchell’s 105. In Hecker, Douglas Van Buren, Richard Happel and Trisha Maddox are leading the race for the village board. They received 19, 19 and 27 votes, respectively. Deanna Louveau is on the outside looking in, as she has 15 votes. There were also several uncontested races throughout Monroe County. In Waterloo, Mayor Tom Smith, City Clerk Barbara Pace, Treasurer Brad Papenberg, Alderman Steve Notheisen, Alderman Jim Hopkins, Alderman Stan Darter, Alderman Clyde Heller and Waterloo school board members Lori Dillenberger, Gary Most, Jodi Burton and Kim Ahne were all unopposed. The park district also saw Kevin Hahn and Shelby Mathes Sr. run uncontested. In Columbia, Alderman Jeff Huch was unopposed. 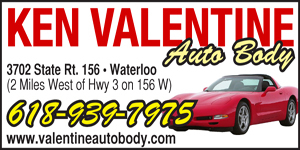 Valmeyer saw Village Trustees Kyle Duffy, Matthew Collet and Tanya Mitchell face no opposition. Also running unopposed were school board members Andrea Blackwell, Virginia Rusteberg, Brad Edler and Robert Frierdich and library district trustees Dana Phillips, Julie Williams and Angela Siburt. In Maeystown, Claire Back, Carmen Lewis and David Braswell had no challengers for their village board spots and John Valentine was unopposed in his bid to replace Terryl Walster as mayor. Finally, Fults incumbents Merril Prange, Ronald Rodenberg, Debra Rodenberg, Jim Davis, Sue Davis and Pam Rippelmeyer ran unopposed for village president, village clerk and village trustee, respectively.